Evangelist Earline Slater Sumpter was born September 27, 1933, in Rembert, South Carolina, to the late Louis and Sue Burroughs Slater. Early on Sunday morning, April 7, 2019, God in His supreme authority called Evangelist Sumpter from labor to reward and welcomed her into Heaven. Earline was educated in the Lee County School System. 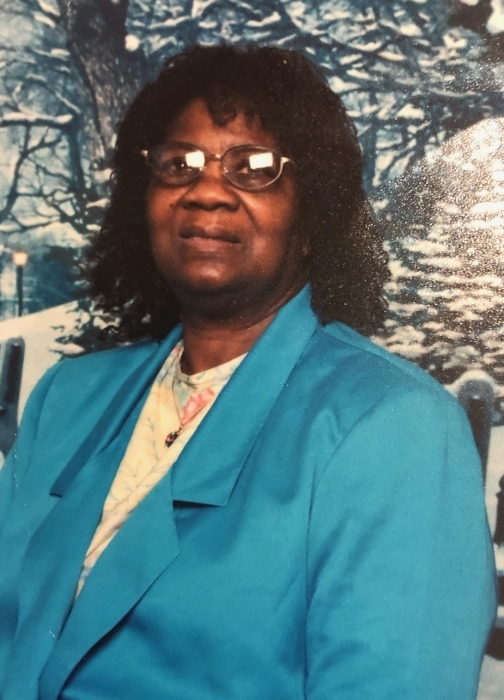 Earline, having been nurtured in a Christian environment, received her early understanding of walking by faith as a member of Pine Grove AME Church. She moved to Brooklyn, New York and was a member of the Tabernacle of Praise Church, under the leadership of the late Apostle Johnny Washington. Upon her return to Camden, SC, she continued to fellowship with the Body of Christ at Life in the Word Outreach Ministries of Camden, South Carolina. Earline was preceded in death by her beloved parents, one son, Jimmy Halley; her brothers, James, Louis, Jr and Purnell Slater; sisters, Rebecca Keith and Tressie Carroll and a great-grandson, Leon Halley, III. She leaves to cherish her fond memories, two sons, Leon Halley, Jr. and Johnny Halley of Brooklyn, NY; one daughter, Sandra Halley (Kenneth) Scott of Sumter, SC; eight grandchildren, Leon Halley, Jr., Sherese Whitfield, Antonio Lee Williams, Julie Williams Miller, Olivia Williams Mingo, Talic (Janayer) Pegues, Tawanna Howely, and Jasmine (Jordan) Young; seventeen great-grandchildren, one sister, Diane Miller of Long Beach, California; one spiritual son, Apostle Alvin Bostic of Union, SC; one special niece, Virginia Carroll Sullivan of Camden, SC; and a host of nieces, nephews, other family, and dear friends.